VERY NICE AND COOL-LOOKING ! This entry was posted in Uncategorized on July 31, 2017 by Jonathan Caswell. Each season women tend to flock to fashion websites, magazines and online stylists, fervently trying to find out: “What’s in style this season?”, “What should I get rid of?” and “What must-haves do I need in my closet?” Stores abound with new tendencies, magazine pictorials showcase daring and sometimes downright bizzare pieces, and the whole exercise of trying to fit in with the season can go from exciting to exhausting pretty fast. So I have these Topshop trousers in various different colours and they are 100% the most comfortable trousers that I own. They are literally so stretchy, which is perfect for the hot weather we are having here in the UK at the minute. I have them in a size 8 and they are great, I know I am going to get a crazy amount of wear out of them. I know I’ve spoken about shirred tops before but I honestly love them so much! This one from Pull & Bear via ASOS actually has so much support in it which really means you don’t need to wear a bra, which is great because I hate strapless bras!! THAT’S NOT MY THIING, REALLY—EVEN IF I AM A GUY–BUT GLAD YOU DID AND HAVE SHOWN ALL THESE WONDERFUL EXAMPLES! Do you ever browse Pinterest for hours and hours just to search for gorgeous outfit ideas? Well, I do! I probably spend a good two or three hours daily on Pinterest to admire all of those lovely outfits and be inspired to incorporate it on my daily wardrobe. To be completely honest though, there are some really nice outfits that I do not think would fit me just like those tall and skinny girls out there. 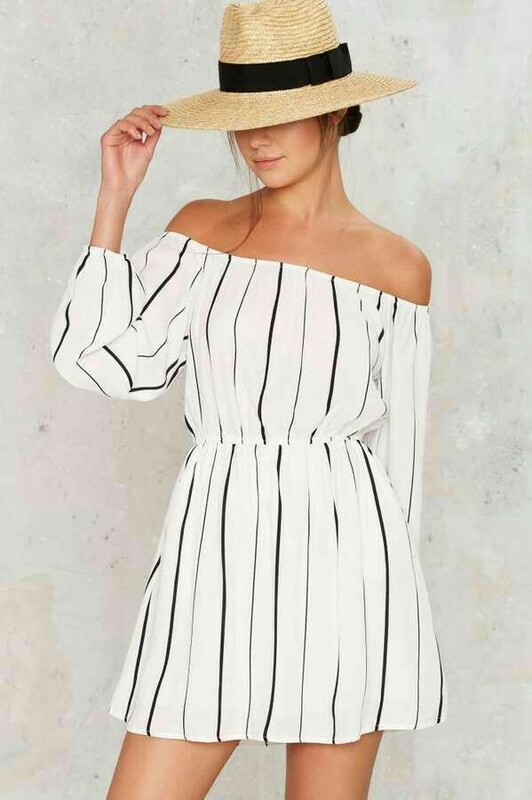 One of the trends that I’m really in love of are these off shoulder blouses and dresses. Oh I know! It may sound so summer of 2016 but hey! I really think they’re so chic and timeless. And yes! Summer would never be complete for me without my all time favorite distressed jeans. But to him, they worked out just fine! Proving I’m in the redheaded clan!